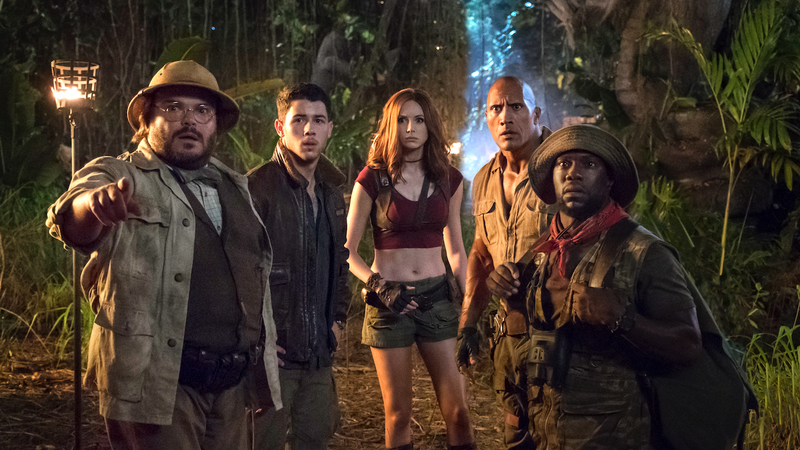 In terms of surprise hits, Jumanji: Welcome To The Jungle is massive. Oh sure, it had Dwayne Johnson, Kevin Hart, Jack Black, and Karen Gillan, plus it was a reboot of a movie that a lot of people liked when they were kids (even though it was kind of fucked up), but it’s not like anyone expected it to put up such an impressive fight against Star Wars: The Last Jedi. Now, given the film’s runaway popularity, Sony has already begun moving forward with a sequel. That comes from Deadline, which says the studio is “in talks” with Scott Rosenberg and Jeff Pinkner, two writers who worked on the original Welcome To The Jungle, and the plan is for all four of the original stars to return and reprise their roles along with “the rest of the ensemble.” Director Jake Kasdan is also expected to return, but it sounds like he isn’t locked in just yet. Weekend Box Office: You’re in the jungle, Last Jedi. You’re gonna die!